We processed LiDAR- Data and RGB-Photos from Bukit Bangkirai area in East-Kalimantan for Prof. Toshinori Okuda the University of Hiroschima. 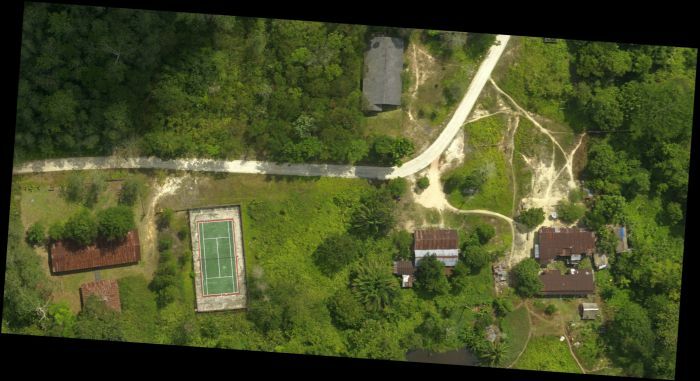 LiDAR Survey of Bukit Bangkirai area with two flight line with 3030ha, superimposed on Landsat 2009 in SW-GlobalMapper. Both helicopter flight trials are together approx. 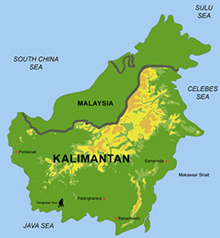 1100m wide and the track is located at Bukit Suharto north of Balikpapan. LiDAR-DTM-survey 29.7.2011 of Bukit Bangkirai area, East Kalimantan, with RGB-Photo superimposed on Landsat image 1992 with a 500m grid. 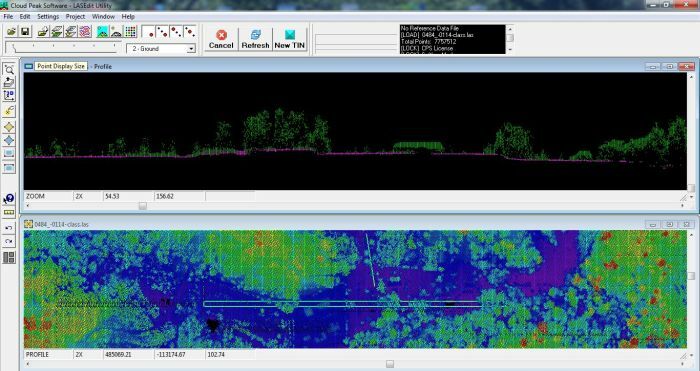 LiDAR DSM from Bukit Bangkirai area with forest, houses, bushes, roads, lake and tennis court. A profile of the DSM is seen in the left upper corner. LiDAR-DSM in LAS-Presentation. The double line in the lower figure is shown as profile above.